The “less but better” philosophy can actually be a catalyst to create profitable growth. It’s a perspective my previous employer couldn’t quite embrace. When I had my own (albeit slightly less dramatic) “Jerry McGuire” moment, I was more calculating about who was coming with me. I followed the counsel of a fantastic mentor who suggested my first hire in my new venture should be the best salesperson I could find. Brilliant advice. I didn’t just hire the best one I could find. I hired the best one I had ever worked with. Lynn Mandinec was my first friend at my first job out of college. We started our careers at the same time, when I was in entry-level sales and Lynn was an account manager. After a few years, I moved into management and she decided to take a shot on the outside, working with me again in her own sales territory. We crushed it together following my formula for sales success: The 30 Steps. We still leverage The 30 Steps today. 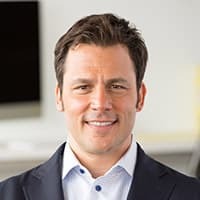 While our go-to-market strategy has evolved pretty dramatically, most of the foundational principles for success still ring true. 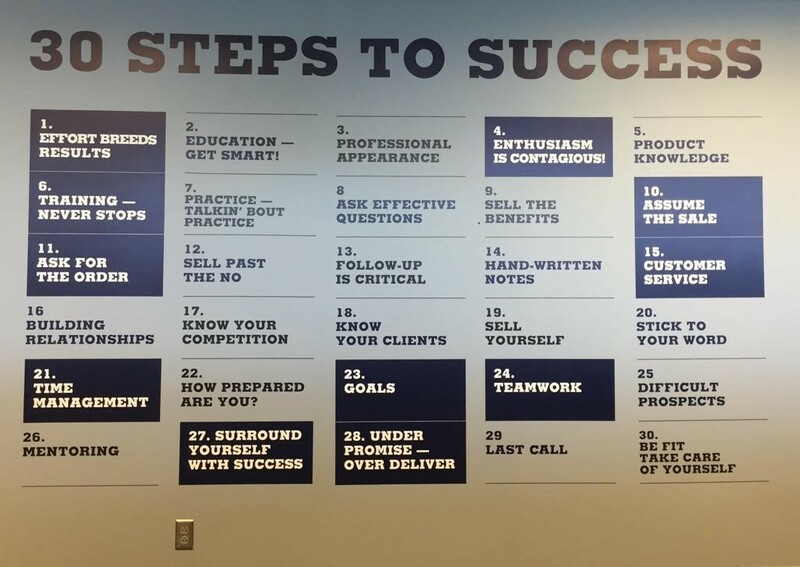 It’s also why world-class sales organizations like the Dallas Cowboys and Atlanta Falcons have taken to painting the 30 steps on walls inside their sales offices. They work! At the time, those 30 steps were my own personal mission statement. I was a performance improvement junkie and would read or listen to every single book on personal growth or sales and leadership success that I could get my hands on. The training has never stopped, but I recognize how much the world has changed. I also have a little more time on my side and that has afforded me a little more perspective. Recently, Lynn and I got to work on a fun new project and during the down time, we paused to reflect on over twenty years of working together. Invest in you. Bet on you. This is your one trip around the sun!